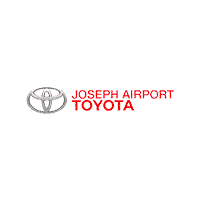 The used vehicles we offer here at Joseph Airport Toyota are better than traditional CPOs because we offer a lifetime warranty on all our Toyota models. You’ll find us near Dayton OH, bring the whole family and let us show you why we are different. It’s common for some people to be turned off by the word “used” when shopping for a new car, and the anxiety of the unknown can leave many buyers feeling uncertain. However, at Joseph Airport Toyota, you can rest assured with our YES PLAN, which comes standard with almost every used vehicle that leaves our lot. This plan has got your back, giving you peace of mind from all the worry that goes along with mechanical breakdowns and being able to afford routine maintenance. That’s why we offer an outstanding nationwide powertrain warranty that will give you coverage to have your vehicle serviced anywhere! The warranty applies to most pre-owned vehicles with a model year newer than 2014 and less than 80,000 miles accumulated. This spectacular warranty has you covered with services expanding to engine, drivetrain, and transmission. When shopping for your next car, truck, or crossover, before you pull up to the dealership, consider all the ways buying used can benefit you. Besides our amazing one of a kind lifetime warranty, there are many more reasons to buy a pre-owned beauty from our Joseph Airport Toyota showroom today. Things like aging and wear and tear will cause that new vehicle to depreciate and lose around 20 percent of its value over the first five years. Protect your asset’s value by browsing our selection of amazingly well maintained used Toyota or Hyundai Models. Our stylish lineup of pre-owned models is perfect for all you budget-conscious buyers who can’t resist a good deal when you see one. Many people go back and forth between buying new or used, and if you have an eye for value, you know that an older model of your favorite vehicle might just be the smarter way to go. Buying new will afford you a great asset, but you might not be able to afford much else if you’re looking at a more expensive new model. Instead, check out the older version of that vehicle you have your eye on, and you’ll be glad you did when you see the savings ring up on that receipt. If you’re looking for a fantastic selection of used vehicles and customer service you’ll brag about, we’ve got you covered. Our walls are lined with all the beautiful models you’re looking for at spectacular prices. See what makes us a cut above the rest here at Joseph Airport Toyota, just a stone’s throw away from Dayton OH. Imagine The Nightlife Experience in your Toyota. If you have been looking for an excuse to head downtown and enjoy the nightlife, imagine the fun you can have in your Certified Pre-Owned Toyota from Joseph Airport Toyota. With the peace of mind you get from our YES PLAN Lifetime Warranty you can go almost anywhere. 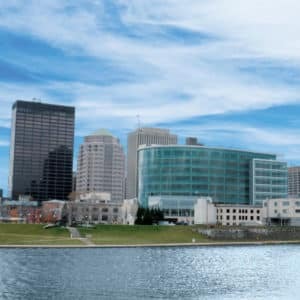 Explore downtown Dayton and take your friends along for the ride as you adventure through the city. Find a concert, local eatery or even your favorite happy hour spot and start making new memories today!